The Denton Black Film Festival kicked off on January 23rd. With plenty of events scheduled from 60 plus film shorts and documentaries, educational film panels, to art, poetry, music and comedy. During this year’s festival you will have the opportunity to get a taste of something vegan and delicious from Chef Eboni Dionne as she serves her famous vegan dip. She’ll be joined by Chef Felicia Guimont of Southern Best Catering and Chef Keith Mitchell of Geaux Kitchen on Saturday to provide festival goers with a little bite of DBFF. 1. What made you decide to work with DBFF this year? Food is art and the media I use to inspire people to broaden their view on what it means to be healthy, well and living their best life. Any opportunity that I have to share my craft is always a joy to me. I was extremely honored and elated to be a part of this event because its mission to spread art and inspire is the best part about what I do. 2. 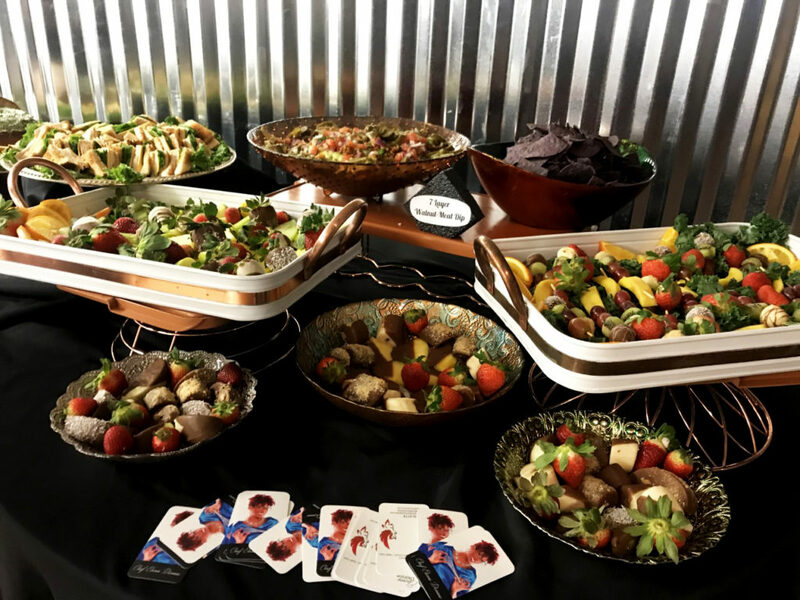 How did you choose the food being prepared for this event? I wanted to show range in the food I prepare and how deceptively delicious my vegan food can be. 3. What can event goers expect when the try your dip? To be surprised that it is vegan and healthy. 4. Have you been able to convert any meat devotees with your vegan dishes? Most definitely! I just completed a cooking demonstration at an upscale senior living complex. The director contacted me after I gave him a sample of my famous sweet potato cornbread and he was floored when I told him it was vegan. The key is to maximize the flavor of each ingredient so there is no room on your palette to notice if something is missing! 5. What are you looking forward to most about working with DBFF? Meeting new and interesting people! I love being around art and artists there is nothing like the vibe when surrounded by so much creativity. 6. Where else can event goers go to enjoy your food? Currently, I provide full service catering and the menu is located on my website www.ChefEboniDionne.com , also I make beautiful fruit bouquets and dipped berries and can be found on my website at www.reBirthofFruit.com. I am located at 404 S. Oakland Blvd. Fort Worth, TX 76103. I will be opening up my kitchen for additional services as the year progresses. 7. Would you like to add anything else to this interview? Valentines Day is right around the corner and I am offering really awesome deals! Get 10% Off and Free Delivery or 15% off for in-store pick-up for pre-orders made before February 9th. The smiles on the faces of the recipients is the best thing ever! Photo courtesy of Chef Eboni Dionne.